Location based service(LBS) + GPS double real time tracking monitor solution. Supports SMS/GSM/GPRS/Internet Network data transmission. Able to switch ARM / DISARM state by SMS. 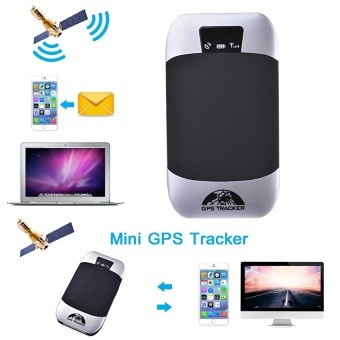 Supports using Web server, PC tracking software, Mobile phone app or sending SMS to track your car. Send a message to the tracker, you will receive a text message with a google map link shows the instant location of your vehicle. Door Open Alarm, ACC Alarm, Low battery Alarm, External Power Off Alarm, GPS Blind Spot Alert, SOS, Multi-area Management, Movement Alarm, Overspeed Alarm, Fuel Alarm, etc. 1.5m Monitoring Microphone allows you to listen in to the situation inside your car while you call the device after changed it into Monitoring Mode. Multiple sleep modes for setting to save the power. Save GPRS trafiic mode for reducing GPRS data cost. Dimension: 9.6 x 5.3 x 1.6cm / 3.8" x 2.1" x 0.6"